I’ve recently completed my stereotypical geek persona by rediscovering my love for books. I used to read quite a lot when I was younger but I was always a really slow reader (Harry Potter and the Goblet of Fire took me two years - seriously) and this kind of put me off reading. The other day I decided to start reading a copy of ‘Wake up and change your life’ by Duncan Bannatyne (the business guy) which my dad had given me as a birthday present a few years back. It turns out it’s actually a pretty good book. Anyway for some reason I can now read at a decent speed so now reading is a lot more fun. I’ve managed to power my way through three books in the last week or so and I thought it would be a good idea to share with the readers of my blog (if there are any) some books that I think are really awesome. So in no particular order here goes. This is a great book about how Tony built up Zappos.com around focusing on the company’s culture and the service that it provides it’s customers. While these may sound like obvious things for a business to focus on Tony’s “lets WOW our customers” approach is a step above anything that I have ever heard about before. Personally this has to be the best book that I have ever read. It has truly changed the way that I think about things and how I will run my company in the future. 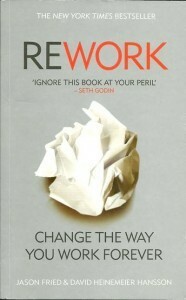 This book looks at taking a totally different approach to the way that you work. Jason and David talk of how regularly working late nights and ‘workaholism’ are poison that will do more harm to your company (and you) in the long-run than the short-term benefits that these activities bring. This book questions so much of ‘traditional’ business ideals that I found a part of me reacting defensively to some of the claims that are made. However by making me question why I had that initial reaction I have come to see the benefits of this alternative way of running your business. If you’re in business or a self-confessed ‘workaholic’ then this is definitely worth a read. 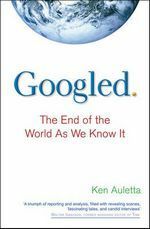 This book is all about how Google got to where they are today and offer’s a really interesting insight to the some of the goings on inside of Google. Ken takes you through the journey that Larry Page and Sergey Brin embarked upon when they decided to build a more useful search engine and the global business that subsequently followed. As a fan of all things Google I found this book a really interesting read. There is a lot of focus in the last few chapters on the “Google vs Traditional Media” battle which does have a few dry spots but overall it’s a great book. If you’re interested in Google then this book will provide you with some really good knowledge about how they got to were they are today. These are just a few of my favourite books. I’m reading Onwards by Howard Schultz (Starbucks) at the moment so I will post a mini review once I’ve finished it. Also ‘Delivering Happiness’ has changed the way I think about business (and business) so much that I plan to writing a post dedicated to some of the topics discussed in the book so keep an eye out for that one appearing on here soon.